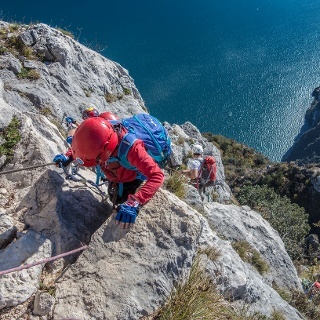 Easy route up the east wall of Monte Colodri alongside the overhangs, with a spectacular view on the Valley of river Sarca. 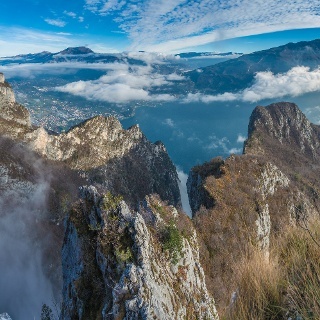 A classic of Garda Trentino! In an emergency call 112. 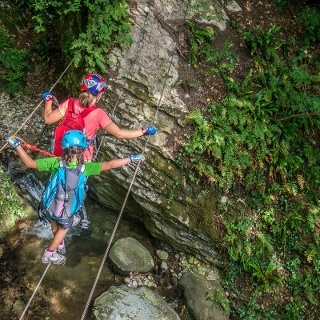 In Prabi take the trail in front of the car park of the municipal swimming pool which leads you to the foot of Monte Colodri and in a few minutes you are at the starting point of the ferrata. 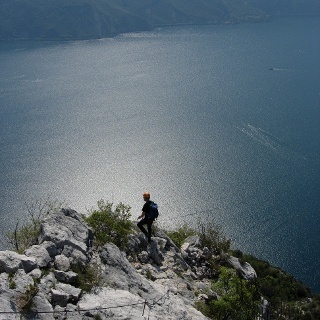 The start of the Via Ferrata is above the limestone boulders at the foot of the east face of Monte Colodri. The first stretch is a track which zigzags up side of the rock. After a short vertical section, continue diagonally to the left until you come to the base of a smooth slab fitted out with rungs (1). Head up diagonally to the left following a cleft in the rock which brings you to the final upward stretch. The final vertical section is fitted with rungs and stirrups to take you past the short dihedral which takes you over the top of the wall. A limestone slab of karst formation with plenty of cracks and clefts takes you to the cross at the top in just a few minutes. 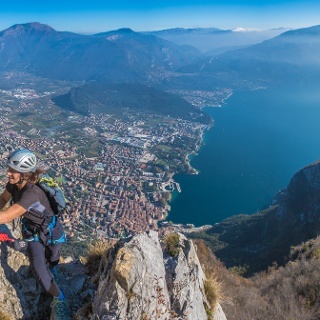 From the summit follow the Sentiero dei Lecci trail and head down to Laghel. From here it is about 15 minutes to the centre of Arco. From the cross of Mount Colodri go north - SAT 431 B - until you arrive at the cliffs. 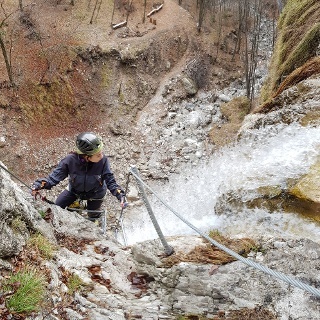 Continue along the “via ferrata” (there are security wires to hold on too) that goes down westwards until SAT 431, follow the path going north until you reach the hills just before the peak of Mount Colt, remaining near a pylon. 45°56.511 N - 10°53.637 E. You go down the path east of Mount Colt, after a few meters you’ll find a safety wire. This wired path is not technically difficult but it’s exposed and requires climbing equipment ie. boots, harness, helmets. 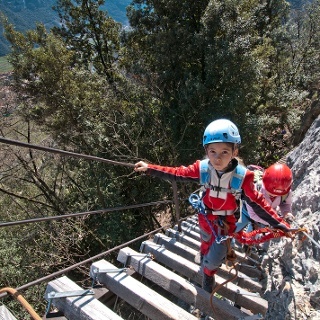 There is a metal ladder to enable you to climb the last rock, then you go down to Malapreda valley. Return to Prabi taking the roman bridge of Ceniga, close to Arco (40mins). Arco is connected to the other centres of Garda Trentino with local buses. Free parking place in Prabi.